Loughran Gallery is back for another show, this time in Boxpark, for the last week of August, with a similar range of contemporary artists as last time, including Dave White, Damien Hirst, and Tracy Emin. I went last time, and there were lots of very interesting pieces. "Loughran Gallery is proud to announce the launch of ArtTing on the 27the August, a brand new show exhibiting and selling works from some of the most talented contemporary and urban artists of our time. Following on from the success of Loughran Gallery’s April Pop-Up exhibition, ArtTing will specialise in showcasing affordable art with all works for sale at under £1,500. This is guaranteed to be a show not to be missed. 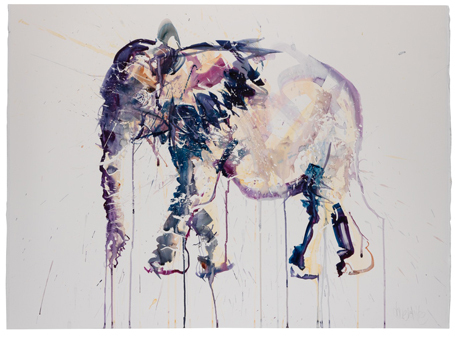 Highlights of ArtTing will include: limited edition works from Hirst, Quinn, White and Emin, the launch of award winning photographer Kara Bieber’s first collage series and works from Dave White’s sold out editions. Founder of Loughran Gallery, Juliette Loughran said: “I’m so excited about this new show. I’ve always believed in a no-nonsense approach and making art available to all and I’m proud to be able to exhibit affordable pieces at Boxpark in an exciting, fun and unintimidating environment. I can’t wait for people to see it!”"